Our brushes are designed by craftsmen for craftsmen - that's why they have tapered centre holes for true running, plastic centre to protect your mandrel and avoid splitting, and a multiplicity of tufts to produce their well known smooth polishing action. They are filled with the finest materials available and produced on fast automatic machines to give the best quality and value. 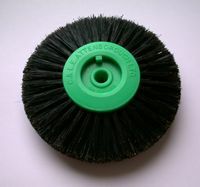 Description: A general purpose brush giving the service of Calico and the polishing properties of bristle. 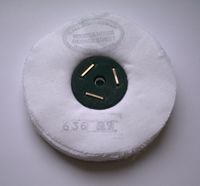 The stock is moulded in three parts which are bonded together trapping the Calico between them, so ensuring full wear. Description: Soft white and soft grey-white hair, having a large number of tufts to give smooth, high quality finishing. 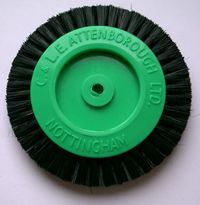 Description: Made in stiff black bristle, soft black, soft white or soft grey-white hair, or chamois leather, or as a 3-row Calibris, for all fine metal and crown and bridge work. Also available with plastic insert. Description: 51mm diameter narrow section centre filled with black bristle cut to give an overall diameter of either 70 or 83mm. 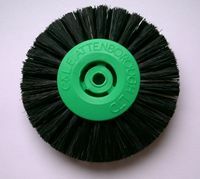 Excellent for jewellery, fine metal work or cobalt chrome. Fast surface speed. 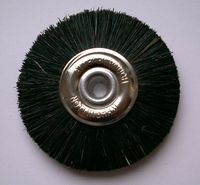 Description: With moulded plastic unbreakable stocks, they are 9 knot 3/4" diameter brushes in soft grey or stiff black bristle to reach into the deepest palate. Description: For producing that final gloss. Large, small or metal centre types available. 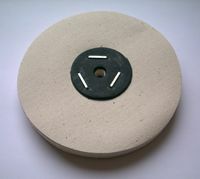 Description: Large or small wheel, mounted or unmounted, large, small and junior cup, or pencil brush. 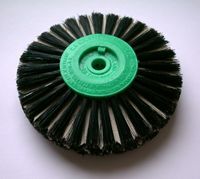 Available in white bristle (stiff) or black bristle (stiff) for straight hand pieces, or nylon for right angle hand pieces. 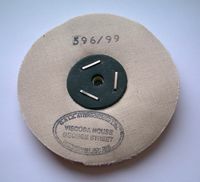 Also available in steel wire (fine or coarse), and brass wire (fine or coarse).